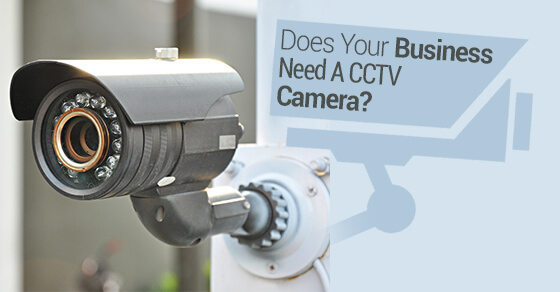 CCTV cameras are incredibly useful for business owners because it helps with security, inventory, and documenting what happens on the premises of your business. CCTV cameras are often used in retail, storage facilities, and in the public areas of office buildings. Some people find them so effective at providing peace of mind and security, that they will install video recording devices in their homes and vehicles. Once you’ve read about all the ways a CCTV camera can serve you, it’ll be much easier to see why many people use them for their businesses. A CCTV will help you break down how shrinkage occurs and can reduce theft when you establish the fact that there’s surveillance onsite. This can be communicated to employees through the usual channels (letters, verbal instruction, etc.) and to customers through well placed signage. Businesses are filled with potential liability, and claims could be made from employees or customers. In order to support your side of the story, video surveillance is one of the best pieces of evidence, and takes the discussion from he-said-she-said to one based on fact. Even in cases that don’t involve the police, insurance claims also require investigation. To protect yourself from an unsympathetic insurance company, you need to have everything possible to help you get the money you deserve. When employees know that they’re being watched, their performance will improve. This also helps employees in cases where supervisors are treating them unfairly or misrepresenting the employee as someone who’s underperforming. CCTV cameras are useful and used by successful companies around the world. The current state of CCTV camera systems has come a long way since its invention in terms of its quality and usability which makes the ways it can be used more diverse than ever.. If you have any questions, don’t hesitate to contact us for more information.